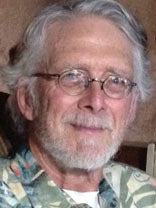 William H. Donahue, co-director and technical manager of Green Lion Press, has been an independent scholar in history of science since 1981 and Director of Laboratories at St. John's College, Santa Fe from 2005-2016. He received his BA from St. John's College, Annapolis, in 1967, and his Ph.D. from the University of Cambridge, England, in 1973. His dissertation, The Dissolution of the Celestial Spheres, 1595-1650, was published by Arno Press in 1981. From 1973-1976, he taught in the Great Books curriculum at St. John's College in Santa Fe, leading seminars and tutorials in ancient, medieval and modern literature and philosophy; ancient Greek; music; classical physics; and Kepler's astronomy. For this last, he translated substantial selections from Kepler's Astronomia nova. In 1976, he left St. John's to organize and teach mathematics and the sciences at the New School of Santa Fe, a completely individualized primary and secondary school. While at the New School, he organized and directed New Mexico's most extensive school outdoor program, including rock climbing, cross country skiing, white water kayaking and rafting, and wilderness survival skills. In 1981, he left the New School and obtained an individual grant award from the National Science Foundation to complete the translation of Kepler's Astronomia nova which he had begun while at St. John's (the translation was published by Cambridge University Press in 1992, and in a revised edition by Green Lion Press in 2015). Subsequently, he received grants from the National Endowment for the Humanities for a guided study of Kepler's Astronomia nova and for the first English translation of Kepler's Optics (the latter now published by Green Lion), and from the American Philosophical Society for study of the Kepler manuscripts in St. Petersburg, Russia. He has published numerous articles on Kepler in the Journal for the History of Astronomy and the British Journal for the History of Science. His 1988 JHA article, "Kepler's fabricated figures: covering up the mess in the New Astronomy", was featured in the New York Times Science Section, and was reported in media worldwide. In 2005, Bill was appointed Director of Laboratories at St. John's College, Santa Fe. In this capacity, he administered the college's unique historically-based science program, required of all undergraduates. Topics covered include origins and development of life sciences; physical sciences from ancient and medieval statics and mechanics through the seventeenth-century scientific revolution and Faraday and Maxwell's electrodynamics to relativity theory and quantum mechanics; elements of chemistry (including development of atomic theory); and a developmental approach to evolution and modern genetics. He retired from the College in 2016, and is now Tutor Emeritus. Bill is an accomplished performer of traditional Appalachian and Irish music, playing the five-string banjo in the "clawhammer" style, old-time fiddle, tenor banjo (Irish tuning), tenor mandolin (the so-called "Irish bouzouki"), and tin whistle. He has played with Distilled Spirits, the Pinetones, Buion gan Ainm, and Knock na Grian, as well as the now-legendary Pear Shaped Orchestra (consisting only of pear-shaped instruments) and has won several awards at the Santa Fe Fiddle and Banjo Contest. Bill is also an active mountaineer and outdoorsman. He is a Rescue Leader on the Atalaya Search and Rescue Team, for which he has served as Training Officer and Vice President. He has also served as Training Officer of the St. John's College Search and Rescue Team and has led nationally advertised wilderness trips for Earth Treks and the Sierra Club.